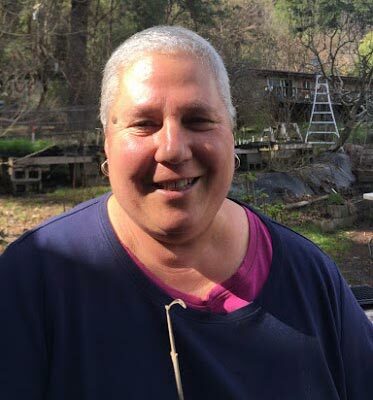 This is Tina, owner of Crimson Sage Nursery, a certified Organic online Medicinal Herb Nursery nestled in the rugged Klamath river valley of NE Humboldt County. She has been been growing and propagating plants of all kinds for over 30 years. She started as a market gardener growing all sorts of food crops, flowers and specializing in gourmet Greens and fresh cut culinary herbs. As time went on she began selling extra medicinal plants along with her herbal products and realized there was a huge need for certified organic Medicinal plants. She acquired Crimson Sage Nursery in 2005, allowing her to expand into online sales, propagating and growing well over 350 different medicinal herbs which are shipped nationwide. Her goal is to empower herbalists to grow as much of their own medicine as possible, bringing the direct plant connection back to the forefront of herbal medicine.